If you are unsure which PCB to use we recommend universal PCB's. 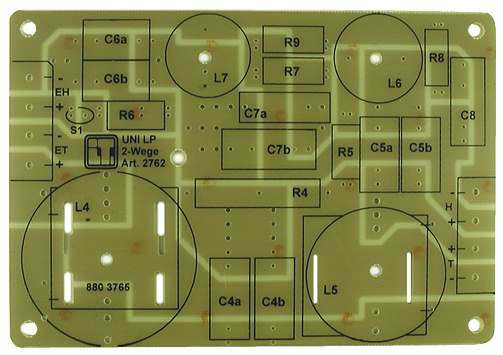 Epoxy glass fibre laminate PCB 150 x 115 mm with 35 um Cu layer. Enlarge 2- and 4-pin terminal block for PCB mount, terminal body: black GRP compound, terminal: gold plated brass, terminal distance 10 mm, for wire up to 4 mm² diameter. 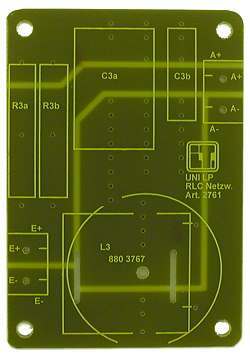 Epoxy glass fibre laminate PCB 220 x 155 mm with 35 um Cu layer. If you do not wish a PCB with copper conductors, grid PCB's made of epoxy glass fibre laminate are also available. The components are placed on one side and connected on the other. 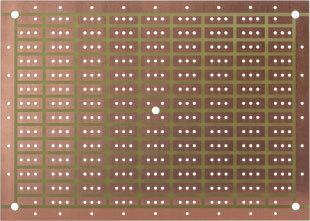 These PCB come in different sizes, however, all of them have a grid spacing of 5 mm. Enlarge 2- and 4-pin terminal block for PCB mount, terminal body: blue compound, terminal distance 5 mm, for wire up to 2.5 mm² diameter. 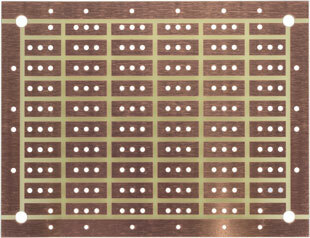 Epoxy glass fibre laminate PCB 120 x 73 mm with 35 um Cu layer, tin plated. 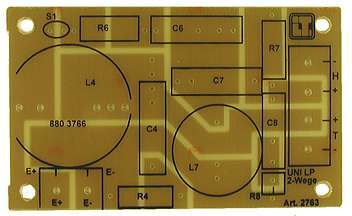 Epoxy glass fibre laminate PCB175 x 120 mm with 35 um Cu layer, tin plated. The picture left shows 4 terminals to connect to the amplifier EH+,- ET+,- for bi-wiring. Two of each may also be connected with one another. To the right in the picture 4 outputs to the drivers H+,- and T+,- can be seen. 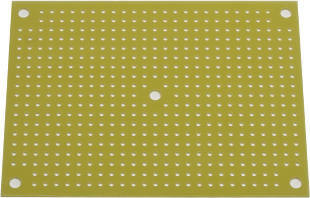 Epoxy glass fibre laminate PCB 220 x 120 mm with 35 um Cu layer, tin plated. 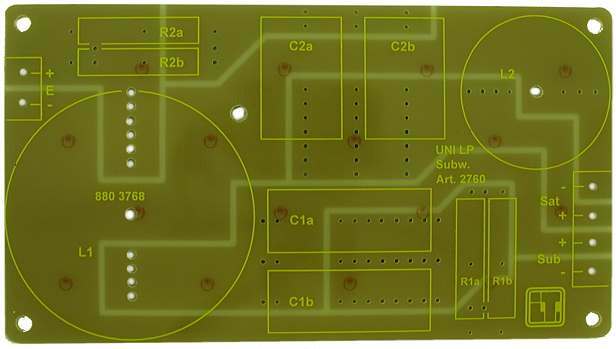 Epoxy glass fibre laminate PCB 120 x 85 mm with 35 um Cu layer, tin plated. If just one RLC element is needed only terminals E+ and E- are required. Epoxy glass fibre laminate Epoxyd FR4 with 70 um tin plated conductor tracks. The wide tracks are suitable for high power application like PA or high-end (picture left: DNU-100).